A German animal protection organisation, the ‚‚Wal- und Delphinschutz-Forum (WDSF)’’, is currently causing a huge fuss on the Internet and is calling for a protest which demands a world-wide closure of Dolphinariums. 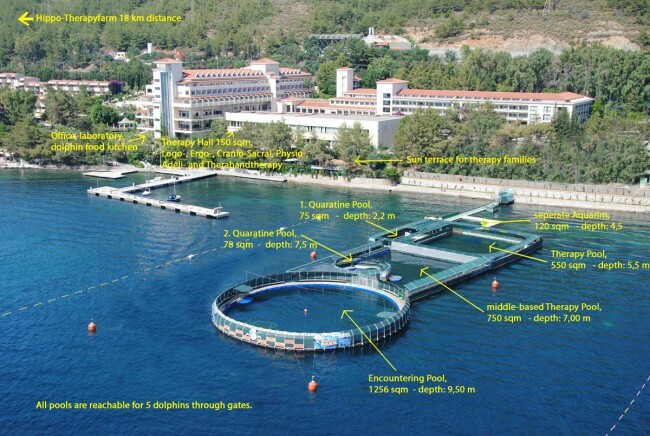 A demonstration is also planned for April at our Dolphin Therapy Center in Marmaris. It is unfortunate that many of our self-named animal protectionist experts are undifferentiated, without expertise and even argue with falsehoods. They view all dolphinariums world-wide as similar, or they make totally unqualified comparisons with the massacre of dolphins in Japan. 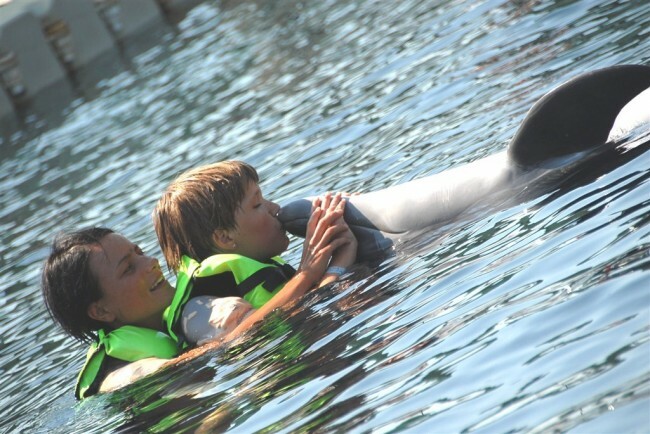 We in the Onmega Dolphin Therapy Center cultivate a responsible interaction with Nature and our animals. We also strongly condemn some of the facilities which does not hold their dolphins in any way gently and humanely. 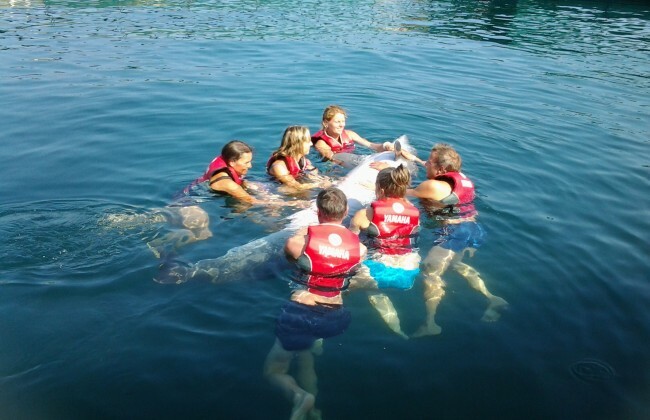 In the Summer of 2010 we were actively involved in freeing two dolphins from two unscrupulous businessmen in Hisarönü near Fethiye that were held in a much too small swimming pool. 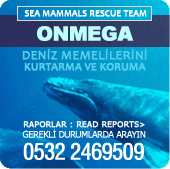 Our sea-mammal rescue team is the only center for injured, stranded or ill sea mammals and turtles on the whole of the Turkish mediterranean coast. 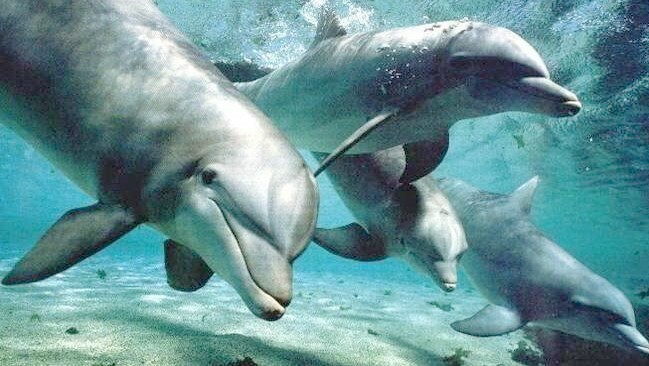 Various scientific studies in USA, Russia, Spain, Mexico, Australia, Israel and many other countries, also Germany, have proven that dolphin therapy has an impressive effect, which many people have experienced first-hand. After many years of successful research, under the management of Research Scientist Dr. Lorenzo von Fersen and his Project Manager Dr. Eva Stumpf, at the University of Würzburg, a new dolphin therapy project will be opened in Nürnberg, Germany in 2012. But the best evidence are the many great and small miracles that we daily experience here, even if there are still many critics that try to dispute the scientific proof . How many therapy or healing methods or other attainments of applied science have through hundreds of years of experience been successfully applied although without scientific proof? 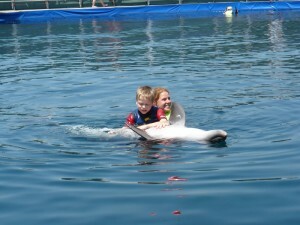 With the consent of the parents we publish their dolphin therapy reports on our web site. Moreover, one can also contact the parents by e-mail to ask questions about the therapy. Our dolphins are very dear to us, as if they were our own children, and they are put to use exclusively for the therapy of disabled children and adults. We were awarded custody of the dolphins by the Turkish government, after years of strict examination, for breeding and therapy purposes in our Dolphin Therapy Center. It is often said that dolphins cannot be held in custody by people. The internationally acclaimed scientist Dr. Randall Wells has after many years made the assessment that there are no differences between wild dolphins and tame dolphins in respect to their lifespan. every year 300.000 dolphins have to die in fishing nets? every year 15000 dolphins and small whales are massacred in Japan, Faroe Isles, Norway, Denmark, Iceland and other islands? in Germany 17 dolphins are held in captivity? Ric O´Barry, the Actor known as the ‚Flipper trainer’ and so-called ‚dolphin expert’ has for his dealings with dolphins been fined by US Courts for 40.000 US$ and in a second case for 20.000 US$? We are always ready to talk about the subject of the protection of animals and species and we are in constant contact with many animal protection institutions, environmental organisations, societies for the disabled, rehabilitation centers, Ministries, Universities and other interested parties. We at Onmega support animal protection actively, and financially, and share the same aims as whale and dolphin protectionists. However we distance ourselves from uninformed and misinformed critics of dolphin therapy centers of any type – a new center has been opened in the Amazon successfully using blind river dolphins with disabled children. Write a short Therapy Report, if you haven’t done so already, so that we can publish it on our web-site. We want to give our best to the rehabilitation of our disabled children, whether it has been scientifically proven or not. Labrador and Dolphin play in the harbour of Tory Island in Ireland. What kind of wonderful love is this? my name is Ivan, I come from Bulgaria and I live in the town of Varna. I graduated ecology and environmental sciences in 1998, I’ve got master degree. Then I worked for an environmental NGO. Read the Onmega Dolphin Threapy Christmas Greetings in newsletter format! 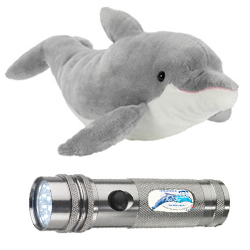 This year our new web-site went online which opened new possibilities in communication with our dolphin friends. We are glad that our Facebook page reached 2000 friends throughout the world in such a short time. News from our dolphin family, Flip with Daisy and Splash with Frosia, making amorous advances. For the first time, and in the hope of pairing, the Onmega Therapy Team in Marmaris opened the gates of all three sea-water pools, which contain 3500 cu.m. and 15 Mio.L. of natural sea-water, so that all four dolphins were together. The attached video is of dolphins playing with silver colored rings which they have the ability to make under water to play with. It isn’t known how they learn this, or if it’s an inbred ability.